In 2013, China landed a rover called Yutu on the moon. Since then, there have been no manned or unmanned moon landings. ISRO began its journey toward the moon in 2008 when Chandrayaan-1 made it into lunar orbit. With this, India became the fourth country to place a flag on the moon after the Soviet Union, the United States and Japan. 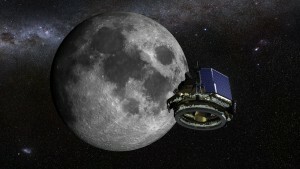 For the Chandrayaan-2 moon mission, ISRO is preparing three crewless vehicles: an orbiter craft that will hover above the moon’s surface, a lunar rover, and a lander craft to safely set the rover on the moon’s surface. ISRO will complete this ambitious project on a shoestring budget of only $93 million. The Chandrayaan-2 mission is just one of the ISRO’s planned projects. The organization is also working on “Aditya,” a mission that aims to study the sun, and “XPoSat” (the X-ray Polarimeter Satellite), which is a five-year satellite mission to learn more about cosmic radiation.